It was the spring of 2004, I was in sales for Heineken USA and working and living in Arkansas. If you’ve never been to Arkansas, it’s a beautiful place, but a whole lot of nothing in large parts of the state. Same is true for Texas, where I’m from. So, being in sales, I drove and drove and drove all the time. On the last day of my job in Arkansas before moving to London (promotion with my husband’s job), I called on a liquor store literally in the middle of nowhere to take a last order and say good-bye. I told the owner/clerk/ only employee I was moving to England. First, she said, “England, Arkansas?” And I said, “Um, no ... it’s England, like THE England, you know way over there, like across the pond” (though I’m not sure if that bit registered). Seemed ages as she pondered this then said, “Why in the world would you want to do that?”. And maybe she had a point. What was I really expecting? It all seemed so worldly and exciting as I anticipated the move. Buckingham Palace, Afternoon Tea, world class shopping, travelling by underground - I’ll do it all! Everyone speaks English, the transition will be seamless! I’ve been to London once on holiday, no problem! As you can imagine, after a few months, the novelty and bright lights started to fade, though I did finally get used to public transportation and not having a car. I learned to have no fear and move through a crowd like I was a horse with blinders on. I’d tell myself “move quick and with purpose, or you will get run over”. I’m really quite brutal about it now. But I did start to love the pub culture, Sunday lunches, quiz nights, grocery delivery (this was 2004 remember), the NHS, Indian food, Eastenders, walking everywhere, the Eurostar, travel - so much was different from what I had ever experienced. However, as time went on, I was really missing things from home. Friends, family, Fritos, the weather, the Gulf of Mexico, corn tortillas (I still struggle with this one) and I began to see lots of differences in people in London vs. what I was used to at home. I’m a runner and noticed early on, when you go for a run here, no one usually says a word to you. In Texas, you’ll get several acknowledgements “Mornin!”, “Hi”, “Have a nice day” as you run. Pretty much silence here, which I wasn’t used to. Though I will say if you have an emergency whilst (love this word) out in public in the UK, people will leap to your defence and help. I was pregnant in 2006, almost fainted on a packed train to London Victoria one morning, and this woman from out of nowhere yelled at the top of her lungs “HEY everyone, this lady needs air! Make way, I need help!” And loads of people moved, made a place for me to lie down, and were fanning me with their morning Metros. When we first moved, I was offered the chance to work with Heineken UK, which I had to have a real think about. I ended up deciding instead to pursue a Master’s degree in Addiction Psychology, and today I have my own Psychotherapy Practice. How in the heck does one go from beer to counselling? I think part of it was that I hoped to figure myself out, and surely I’d learn enough to make myself happy no matter where I lived. I was really struggling missing home, my parents, friends, everything I was used to. I’m an only child and was feeling tremendous guilt for not being around the corner to help my parents. Dad was in the early stages of Alzheimer’s and Mum in her late 80’s. I went back when I could, once or twice a year, but still struggled with not being closer. Luckily in my Master’s degree training I was required to go to a therapist myself. Good thing because I didn’t realise how I was completely a “grass is greener ” person, dreaming only of being back in Texas. I recently went on a cruise to Mexico with 49 of my sorority sisters from The University of Texas at Austin. Most of us hadn’t seen each other in 35+ years. When I arrived, I was considered the “world traveller”, the woman whose life was envied. But moving to the UK is not all “easy peasy lemon squeezy”. Everyday things you felt you “just knew” in the US have to be re-learned. Even though the Brits do speak English, words for everyday things differ. “Paper towels” are “kitchen towels.” “Restroom” and “bathroom” are replaced with “loo” or “toilet.” The temperature is reported in Celsius, and the list goes on. Social customs can also be challenging. Customer service may feel different. You may question when, and how much, to tip. Workplace norms, or the challenge of being the trailing spouse, can add to these frustrations. Triggers for home can pile on. Babies, marriages, holidays, and illnesses are big triggers for homesickness – whether happening in Britain or in the US. Dealing with all of this can require the right kind of space to vent your frustrations and feelings. People often choose therapy because they are experiencing difficulties and distress in their lives. You don’t have to be in crisis to have counselling, you just may be seeking help to get through a difficult/challenging time. In the UK, there are many resources to provide support beyond expat concerns. The NHS provides many options that you can find online or confidentially from your local GP. For concerns triggered by your expat experience, speaking with a qualified professional may help ease your worries and find practical ways to manage. The British Association for Counselling and Psychotherapy is the largest and broadest professional association for members of the counselling professions in the UK with over 44,000 members. Support can range from face to face sessions to online (Skype) sessions or even phone or email counselling. Sometimes, just having the ear and advice of a professional can help guide you through a rough time. Eleven years later, one move back to Texas, and therapy for myself to adjust, I finally feel like London is home. Texas is also still home, and it’s ok to have two places that I love and that I call home. And I even whinge about the sweltering heat in Texas now. How did I ever stand it that hot? Our final fling in the United States was a six- thousand-mile cross-country adventure with our four children and two dogs. Epic doesn’t even begin to describe it. It was AWESOME. We wiggled our way from West to East and ended up in New York one day before we left forever. But that’s a story for another time. We are naturalised Americans who lived in Reno, Nevada for ten years. Before that, we lived in France and Russia for many years. And before that, Britain, where we were born and raised. When we made the decision to move “back” to Britain, it didn’t feel like that at all. Meaning we had been away for so long that it felt as if we were moving, yet again, to a foreign country. And we were right. The question everyone asked us when we told them of our plans was, but WHY? Why indeed. There were lots of reasons. I stopped working for a Silicon Valley marketing company a year before we left and had no interest in finding a similar job in Reno or anywhere else. Our children were all British but had never lived in Britain. Our parents, who were in Britain, were in poor health and we wanted to be near them. And we were homesick. Even so, it was a very difficult decision. We loved our home and life in Reno and we had no real idea of what we might do in Britain. The last year in Reno was the most fabulous ever, which made it even harder to leave. I spent more time with my children, rode my horses, volunteered as a 4-H leader, did a spot of consulting, and planned our move. In retrospect, the decision to spend six weeks travelling across America was wise. Eight of us, including the two huge dogs, living in an albeit good-sized trailer, was excellent preparation for moving into my mother’s house in Wales. The house, quite large for Britain, was a shock to the system for the kids. That and having only one bathroom between all of us. Steve and I chuckled on more than one occasion at a disgruntled teenager sulkily waiting their turn in the hallway. But it was lovely to be in Britain. It was all so new and exciting, yet familiar. It was easy to settle in apart from the nightmare first month. We had no belongings, no credit history, no past UK address and no internet. Every single service I called told me “just go online...” Funny looking back, but not so amusing at the time. Then I got homesick for Reno. I still am. I miss my home and life, for sure, but it is more than that. I miss the wide-open spaces and guaranteed sunny weather. I miss the encouragement and enthusiasm of my American friends (thank heavens for Facebook). I miss that lending your car to a friend is normal. Why ARE British people so special about their cars? And I miss the easiness of living. High speed internet. Showers that work. Mixer taps. That my clothes dried quickly inside the house in winter. That my home was easy to clean, warm in winter and cool in summer. That I didn’t wallow in mud when I fed my animals. It’s not that you can’t be comfortable in Britain; but complaining about any discomfort is likely to elicit an eye roll from a proper Brit. There’s no place for softies here. I joke half-seriously that Brits don’t consider they’re really living unless there’s a bit of hardship involved. “Mustn’t grumble”, “can’t complain”, is a way of life. We’ve settled here happily, even if part of me is still in Reno. I feel more of a connection for The Biggest Little City than anywhere else I have lived. Perhaps it’s true that if you travel and live in different countries you are never completely content anywhere ever again. This makes me sad but also secretly pleased that, truly, I have another country I consider home. Did we really leave forever? We have no plans to move back any time soon, but never say never. I cannot imagine NOT going back to the US at some point. Oh yes, we found a way to support our life here, too. During our last year in the United States, we had a germ of an idea to start up a glamping (so-called glamorous camping) business in Britain. So, we did it. Within six months of moving back we found a property in Shropshire and set up Barnutopia. Steve’s practical skills and my marketing skills have proved to be a winning combination. Our gorgeous rural location with stunning views in every direction helps a bit, too. 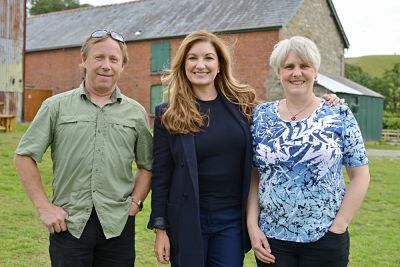 You can see us and our glamping site on ITV’s Give It A Year (find it here) with Baroness Karren Brady. Please feel free to drop in and say hi sometime. We’d love to see a friendly face from across the pond. About Barnutopia Barnutopia is a glamping, wedding and event venue in the Shropshire countryside. The site offers a glamorous camping experience for guests who love the outdoors but prefer the comforts of home. Since opening in 2015, it has earned over one hundred and seventy 5-star reviews from satisfied guests. For more information visit www.barnutopia.com. Looking for an excellent expatriate read? Santa Fe Relocation recently partnered with author and expatriate coach Katia Vlachos, on the launch of her new book ‘A Great Move’. Based upon years of research and compelling data, the book takes readers through all elements of their relocation journey, examining key principles and a step-by-step process that help people navigate this exciting, and sometimes stressful, time. Stimulating real life experiences are also shared allowing readers to more objectively view their own emotional changes that may come with the experience. Neil Bothams, CEO Europe and APAC at Santa Fe, shares how the ideas presented have helped him personally to think at a deeper level about the other emotional elements of moving, such as the views of accompanying spouses and family members. Neil also happens to be in the process of relocating his own family from London to Singapore. Neil states “At Santa Fe Relocation, we enhance the customer experience better when we can understand the emotional journey of our expat customers. I am currently living through this experience with my own family as we prepare to move to Asia in the next few weeks." Viewing the expatriate experience holistically from initiation to repatriation, is our approach at Santa Fe Relocation. We have unique and comprehensive assignment management expertise that can provide support for all or any part of the relocation process. Our thought leadership in the industry includes learnings from our award-winning services and our Global Mobility Survey, which is one of the largest surveys conducted in Relocation. Santa Fe’s global footprint includes 97 offices in 46 countries and allows us to leverage unsurpassed local knowledge with a global mindset no matter where in the world people are moving. Our purpose is to help people and organisations thrive in new places around the world. The content in ‘A Great Move’ is truly value-added for people who are already expats or considering opportunities to move abroad. For more information on how we support expatriate assignments as well as relevant articles and tips for those living abroad, visit us at santaferelo.com. A Great Move: Surviving and thriving in your expat assignment is published by LID Publishing Ltd, ISBN 9781911498605 and available from online at agreatmovebook.com, Amazon and all booksellers. 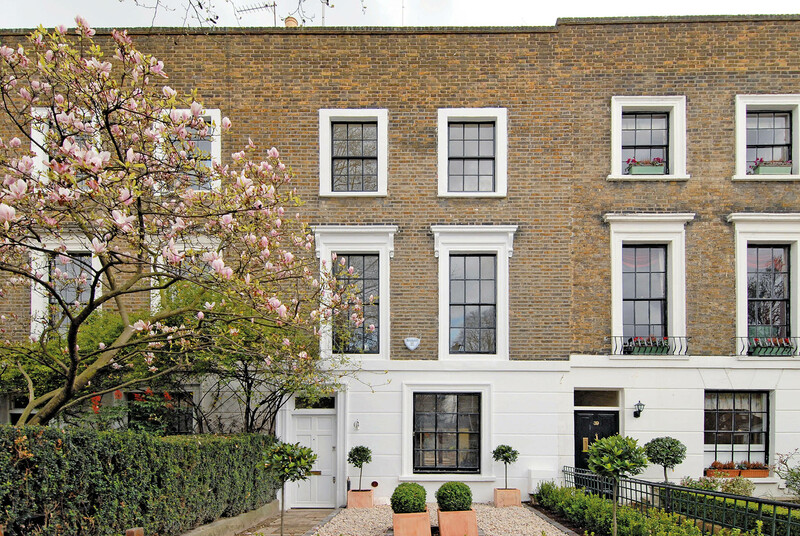 In addition, it is perfectly located for quick access into the West End and the City of London where London’s businesses, theatres and restaurants can be found. A few stops on a bus or underground train from the Art Deco style St Johns Wood Underground Station gets you into the heart of London, and when you return back home from the inner London frenzy you are back in this well-established friendly community reminiscent of a Home Counties village. In modern times, St John’s Wood became home to the most famous recording studios in the world, the Abbey Road Studios, often used by The Beatles who brought the area into the public eye with the iconic album covering featuring an image of the group on the zebra crossing outside the studios. Today tourists from all over the world dodge the traffic in an attempt to recreate this iconic cover shot. If moving to London is o n your agenda and you want to discuss the St Johns Wood location further please don’t hesitate to contact me for more in depth information or just for some local restaurant suggestions.